Two years ago, I was blessed with a beautiful baby girl. And like every new mother, I wanted the best for my sweet pea. The leading maternity hospital in Bengaluru where I delivered, had handed me a standard vaccination chart for infants. I was clear that I wanted immunisation for my child against major diseases but through the painless vaccination process. Three weeks later, I was back home in Delhi enjoying some good old pampering. The horrors of vaccination began when I took my little one for her 6-week vaccination. I was told that the combination vaccine, that was meant to be administered, was not available. I was facing one of my worst nightmares - my tiny little baby being given multiple pricks because she would be administered four different vaccines for newborns instead of the almost painless process that I had hoped for. A frantic call to my hospital in Bengaluru brought to light the shortage of painless vaccines. Then began a frenzy of calls to every hospital in Delhi to check the availability and ensure my daughter had a painless vaccination process. My search ended in racing to grab the last-in-stock painless vaccine at a top hospital in Delhi which I learnt later was not even available. Even after being told that my baby would be administered a single painless vaccine, she was injected with a series of vaccines. I wasn’t even told what these vaccines were for. I learnt much later that an important vaccine had been skipped and the ones that were administered to her were not even painless. This messed up my daughter’s immunisation schedule. But the nightmare was not over yet. We started seeing the first side-effects of the vaccine. The injected area had a huge swelling. My baby refused to feed and as a result, I suffered from engorgement. By the time it was midnight, she had high fever. Around 2 AM, when the temperature touched 103.5 degree Celsius, we rushed her to the hospital where she was given a paracetamol injection. Though the fever subsided, the trauma continued. We fought through this with the belief that this was probably good for her. So what are Painless Vaccines? For her next vaccination, I was in Bengaluru again. Here, I asked the pediatrician the difference between painless vaccines and vaccines that have side-effects like in my daughter’s case. Painless vaccination does not mean No Pain, it just means vaccines that cause less pain. Secondly, it not the administering of the vaccine that is painless. A prick is a prick. The reactions experienced after are lesser making it a painless vaccination process. Very importantly, it combines the vaccine for five diseases (Diptheria, Pertussis (whooping cough), Tetanus, Polio, Hep-B vaccines) so the baby is saved of multiple pricks! Today, we have one vaccine protecting against six diseases. Last but not the least, even though the intensity of the reactionary symptoms (fever, swelling) is reduced in case of painless vaccines, it doesn’t mean that the effectiveness of the vaccine is any less. 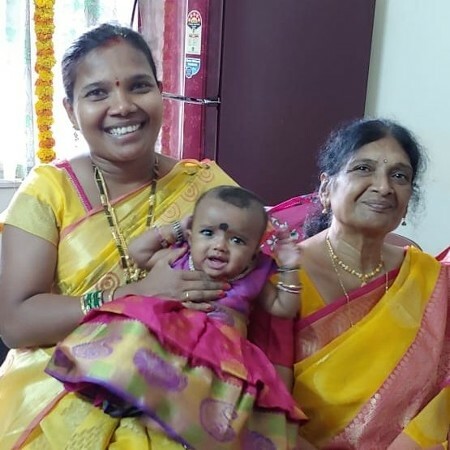 Being a paranoid mother, I consulted my baby’s pediatrician in Bengaluru but did not get the painless vaccine administered with the scheduled vaccine on that day. I went back and read more about them and painless vaccines. I even spoke to a friend in the US who told me that combination vaccines are common there! And very importantly that within combination vaccines too there are painful and painless variants. Finally, after a week of research, I opted for a painless combination vaccine for my infant. I was relieved that in one shot, the vaccine had tackled five different diseases and the chances of the vaccination being painless was higher. My little one did have mild temperature the next day, however, there was no inflammation and neither were there any other issues like the last time. Yes, the price for the painless combination vaccine is significantly higher, but in my opinion, as long as I can afford it, I want the best for my munchkin. Today, my child is just over two years and I am out of the regular vaccination phase, but these lessons from baby’s first vaccines will stay with me forever! Caption: Shradha and Aviral with their little princess Advita. Disclaimer: The views and opinions expressed in posts are solely those of the authors and do not necessarily reflect the views held by BabyChakra, its creators or employees. If you find yourself vehemently disagreeing with something and want to educate the world as a mother, please contact us about writing an article of your own voicing the contrary side of the issue. BabyChakra is not responsible for the accuracy of any of the information provided herein by the bloggers. However, we respect the choices that the mother or parent has made, and trust that he/she has done her own due diligence. Agree with you Shradha. As moms we want the best for our LOs, knowing what is the vaccine for, what will be the side effects etc only puts the parents at ease. I really wish i had the information about painless vaccines when my baby was born, this article really is so helpful for all the new moms out there and also a good read for the expecting mothers. please make me understand, is it like painless vaccines are more trustable than pain vaccines? Do different vaccines eg. 5-in-1 or 6-in-1 have different dosage periods? Can we switch between them? Is there any harm in doing this? Painless vaccines had been banned earlier in India due to effectiveness issues and relaunched with God knows what changes made.even paediatricians opt for regular vaccines for their own children. It may cause mild fever for 48 hours but at least it protects the child for life. Hi Manisha, thank you for reading. Less-painful vaccines were in short supply in India for some time due to an increase in demand across the globe. They are in fact used as part of the recommended immunization programs of many developed countries such as the US - ;https://www.cdc.gov/vaccines/vpd/pertussis/index.html. Hi Kirutika, thank you for reaching out. It's best to discuss the same with your pediatrician. Hi Kamalini thank you for reading. From what we know, any type of good quality vaccine against DPT is fairly reliable. Though we suggest you understand and discuss the same with your pediatrician. Hi Leena, Pertussis is a cyclical disease, with peaks of cases occurring every 3-5 years. As per world health organization, factors that have probably contributed to the increasing numbers of cases include naturally occurring cyclic patterns every 3-5 years, higher disease awareness, improved diagnostic facilities etc. Hi Gauri, thank you for reading. We completely agree with you. Hi Salome, thank you for appreciating. We do want to help new moms make informed decisions. Is there any difference between aiims vaccine which is of free of cost & private hospitals vaccine which is of high cost? My baby name ceremony function compltd"saiveditha"